The information below can help those faced with recovering in the aftermath of hurricanes. Use these key messages, available in English and Spanish, to share important safety information with your readers, as well as your friends and family. Feel free to copy and paste the information, links, and images into your newsletters, emails, and social media posts. 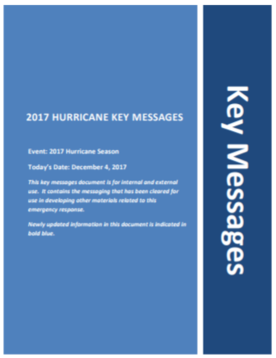 These key messages were updated December 4, 2017. Updates are in bold blue font. This week's key messages include new messages about melioidosis and updated messages and resources for older adults. After a natural disaster, it is normal to feel sad, mad, or guilty—you may have lost a great deal. 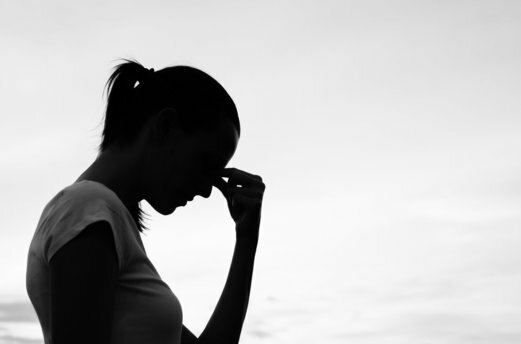 Your coping skills may change during periods of crisis and heightened stress, limiting your normal ability to effectively solve problems and cope. Stay in touch with family and friends, find a support network, and talk with a counselor. Getting involved with others can help. If you or someone you know feels like completely giving up or are having thoughts of suicide, get help. Contact the National Suicide Prevention Lifeline: 1-800-273-TALK (1-800-273-8255) or use the online Lifeline Crisis Chat. If you are calling from Puerto Rico, call the Primera Ayuda Sicosocial (PAS) emergency help line at 1-800-981-0023. Both are free and confidential. You will be connected to a skilled, trained counselor in your area. For more information, visit the National Suicide Prevention Lifeline. The SAMHSA helpline also has counselors available to discuss anxiety related to disaster. Call 1-800-985-5990 or Text TalkWithUs to 66746. Spanish speakers can call 1-800-985-5990 or text HABLANOS to 66746. Going to a new school can be hard - especially when it’s because of a hurricane. Encourage kids and teens to be kind and supportive to their new peers. They can be someone’s hero. Show them CDC’s “Be Someone’s Hero” video.